If you are new to blogging, you may want to take the time to read some of my other tutorials either here or on my blogging for beginner’s blog. Although most of my lessons are aimed at beginner bloggers, this lesson is not really where most people would begin. You need multiple posts within your blog in order to generate internal linking. Internal links are much the same as backlinks. But they are contained within your blog. Being that all the posts on your blog are in some way relevant to each other, this gives you a great chance to generate internal links that use your anchor text. Not only does this help search engines develop relevancy of your posts, but also helps them FIND your posts. I am going to assume your blogging career or hobby is still relevantly young. And young blogs take time to be completely indexed with the search engines. Just because they have found your Root URL, doe not mean they have found every article within that URL, In fact it is quite often the case that even after a month or so of being indexed, they may only have a few of your posts indexed. The internal liking will also speed this process up. But it is always important to remember that too many links, whether internal or external, are too many links. How does Internal linking effect my blog? It actually plays several rolls in the performance of your blog. First off, it gives your readers an easy way to jump to other articles within your blog about topics they have interest in. Readers like this and have been conditioned to use these types of links, especially blog readers. This increases the readability of your blog and increases the chance of keeping readers on your blog for longer time. Both are very important factors in building a successful blog. But what we are really here to talk about today is how these internal links effect the search engines. And they are actually able to play a role in search engine performance in several ways. Search engines track internal linking. It is a factor that has some weight in deciding overall page ranks on your blog. Although it is not a primary factor, it does play a role, and when it comes to SEO, every little bit counts in very competitive markets. Of course some markets you can get away with having poor SEO, but it is only a matter of time before every market has competition, meaning you will need to practice some level of SEO at some point. 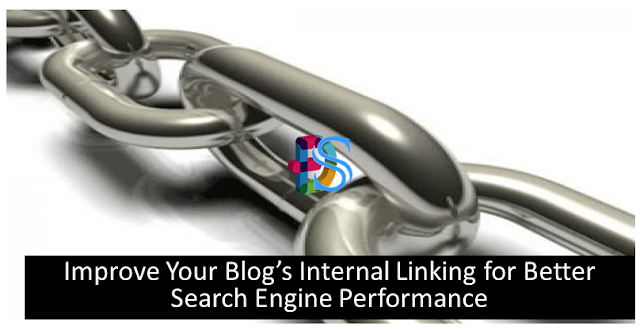 But there is another reason that internal blog links can improve your performance in search engines. And that is through indexing. Something that beginners do not think about very much is the fact that every single post you write becomes another layer to your blog. Every single layer increases the overall size of your blog, and this in turn increases your “Gravitational pull” so to speak. The more territory you cover, the better your chances are to pull more readers to your blog. But what often happens, especially with newer blogs is search engines do not index all your posts. At least not initially. The search engines may have found your root URL and may have indexed it, but that is not a free pass to all your other posts. And if every post is not being found, then you are not utilizing all the “territory” your blog has taken. Internal blog links create awareness for the search engine spiders. And although it is not a guarantee that your posts will all be indexed because you implement internal links. It will help. It will surely improve your chances of being indexed. How to I implement internal links? Through Internal links, you are giving your blog a fighting chance right from the word go. Every time you add a new post. Consider your older posts. If you can refrence one of them or several of them, using your primary keywords for those posts, use it. Add the link or links to your new posts. And as long as it is natural, and not forced, it will be considered beneficial by the search engine spiders. But don’t stop there. Now that you have this newfound knowledge of what internal links are. Take some time to read your older posts, and add links to them. What your goal should be is to have a weaving internal structure of links. Not all of the links should be pointed at your root URL. As a rule of thumb though, I try to make sure that every single post has at least one internal link back to my root URL. Something that is easily overlooked by beginner bloggers, is the natural feel a blog or any web site should have. I was as guilty of this as anybody. I tried to cram tons of internal backlinks using my primary keywords as my anchor text through all of my posts. But too much is always too much. If you just happen to find a place to add a internal backlink, then do it. But don’t force it. Readers will pick up on this, your posts will not flow well, and even the search engines can pick up on this. While it is important to create a strong linking structure within your blog. The most important thing to remember is quality. Quality posts, a pleasant looking blog layout, and just an overall good experience. Occasionally read your blog as you would if you didn’t own it. It sounds a little corny but it helps. Maybe you will find new areas to improve or some areas where your opinions have changed. Although your posts are already out there for the world to see, does not mean you cannot go back and to some editing to make all your posts better, and this includes your internal links.